Showing results by narrator "Anuj Gurwara"
Tagore wrote Shey to satisfy his nine-year-old granddaughter's demands for stories. 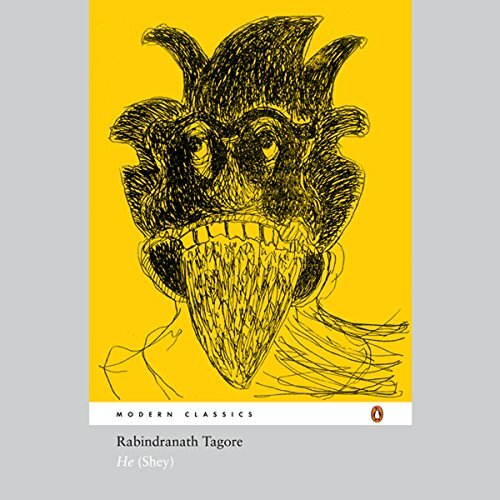 Even as Tagore began to create his fantasy, he planned a story that had no end, and to keep the tales spinning he employed the help of "Shey", a "man constituted entirely of words" and rather talented at concoting tall tales. So we enter the world of Shey's extraordinary adventures, encountering a bizarre cast of characters, grotesque creatures, and caricatures of contemporary figures and events as well as mythological heroes and deities - all brought to life through a sparkling play of words and illustrations in Tagore's unique style.